Coolpad launched coolpad note 3 lite in 2016, January. The phone comes with a 5.0 inches touchscreen with a resolution of 720 x 1280 pixel . Coolpad note 3 lite is powered by 1.3GHz quad-core MediaTek MT6735 processor and it comes with 3GB of RAM. This phone packs 16GB of internal storage and it can be expanded up to 32GB via a MicroSD card. The coolpad note 3 lite comes with the main camera of 13 megapixels on the back and a front 5 megapixels for a selfie . Coolpad note 3 is powered by a non-removable li-ion 3000 mah battery. It measures 140.80 x 70.40 x 8.90 (height x width x thickness) and weighs 152.00 grams. Sensors in the phone include the proximity sensor, ambient light sensor, accelerometer, and gyroscope. Some day ago coolpad officially launched cool UI 8.0 android 6.0 Marshmallow for there coolpad devices. coolpad now rolling out cool UI 8.0 on their device. 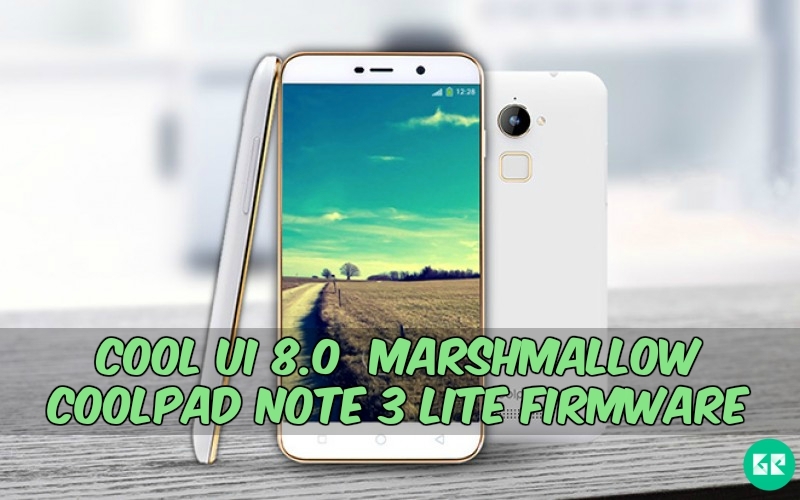 Today we share cool UI 8.0 beta for Coolpad Note 3 lite from the official forum. This is completely new UI and it is more stylish then cool UI 7.0. The main feature that its notification bar type like a iOS. Swipe up to down then open notification panel and swipe down to up then open shortcut panel. Thanks to coolpad forums for sharing this marshmallow firmware this firmware flash via sp_flash tool. Type :- “.Zip” file & Tool. Extract Downloaded Zip File Via WinZip and; 7zip. Now Open The SP Flash Tool & Click The Download Tab Button. Then Click Scatter-Loading Button & Browse And Select The MT6735_Android_scatter.txt File From Firmware Folder. Now Hit The Download Button. Switch Off Your Phone & Connect Your Phone To The PC. After The Flashing A Green Tick Will Be Appear. Disconnect Your Phone And Power On Your device. Note:- Frist Time It’s Takes 5-10 Minutes To Boot. © 2019 - GizRom. All Rights Reserved.